National Apprenticeship Week was created by President Barack Obama in 2016 to “support and encourage apprenticeship programs that will help rebuild our middle class” and “rededicate ourselves to educating more of our people, retraining our workforce, and renewing our nation’s promise to put the American dream within the reach of the determined.” The International Union of Painters and Allied Trades District Council 6 (IUPAT DC6), in partnership with the Finishing Trades Institute of the Ohio Region (FTIOR), invites members of the community to attend a special Apprenticeship Open House on Tuesday, November 13th from 10:00 AM until 2:00 PM at Painters District Council 6 Office/FTIOR Training Center at 8257 Dow Circle W, Strongsville, Ohio 44136. 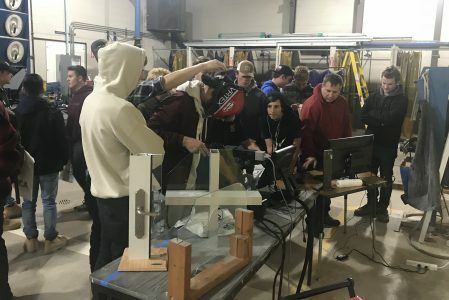 The Open House provided an opportunity to explore career opportunities while learning about the positive impact Apprenticeships have throughout the nation. There is no cost to attend, and pre-registration is not required. For more information, e-mail George Boots at georgeb@iupat-dc6.org or phone (440) 239-4575. Click HERE to download an Open House flyer. 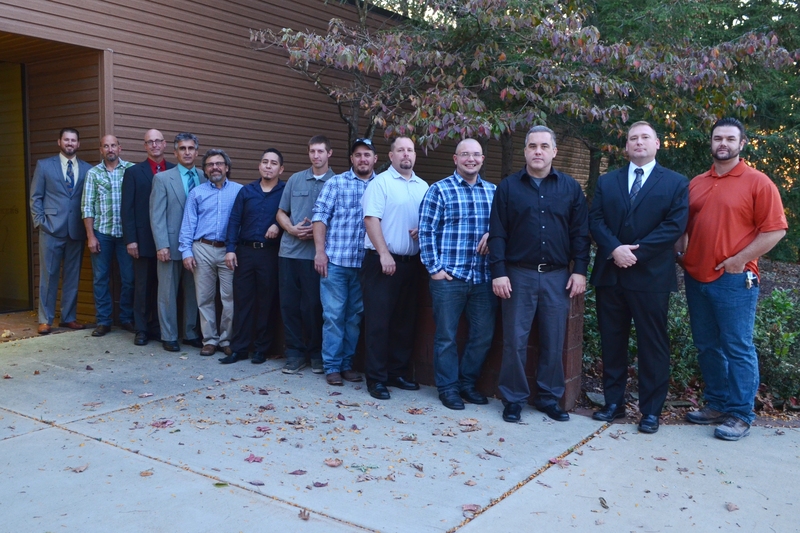 IUPAT DC6 is proud to announce the additions of Nick Papadorotheou and Duane Behanna to our Training Department. Nick Papadorotheou will assume the role of full-time Glazier Instructor, using his 8 years of experience as a Glazier with local 181 to motivate and mold young minds in our apprenticeship program. He will also be working on OSHA, NCCCO certified signal person, Overton Certified training and American Heart Association CPR Training throughout DC6. Duane Behanna is our new part-time Instructor in the Cincinnati and Columbus area. A Painter by trade from local 1275, he will use his 15 years of experience to focus on drywall/finishing painting as well as promoting health & safety for members throughout the area. 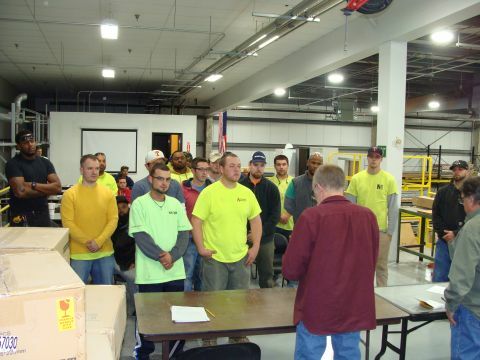 Please join George Boots and everyone at IUPAT DC6 in welcoming our new members to the team! We’re expecting great things from you Nick and Duane! The Board of Trustees for the Finishing Trades Institute of the Ohio Region is currently accepting applications for a part-time Instructor position. The position needs to be filled as soon as possible. The Part-time Instructor will be responsible for training apprentices and journeypersons throughout Ohio focusing on Craft specific, Health & Safety. The job requires the training programs for apprentices and journeyperson primarily at the four separate Training Centers located in Cleveland, Columbus, Cincinnati and Toledo. 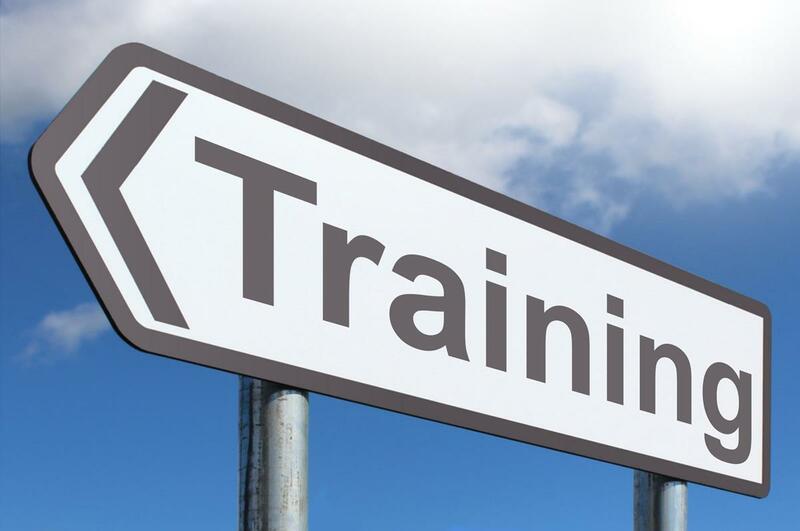 The Instructor will be primarily based in the Toledo, Ohio Training Center; however, will be required to travel throughout the State. Since this position requires teaching the Finishing Trades Institute developed curriculum, the applicant must be an active or retired member of one of the affiliated Finishing Trades. This is an hourly position based upon the IUPAT DC 6 journeyperson wage. Instructors will be paid by class taught. Wages will be paid at journeyperson rate, for actual class time spent plus one half hour before and after. Thinking of Joining the Union? 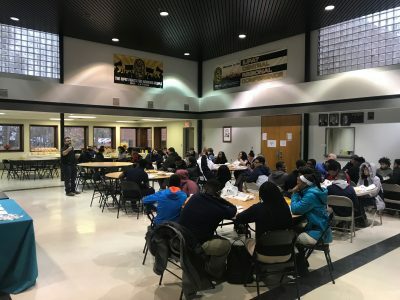 Plain City, OH, January 29, 2018– If you have an attention for detail, are goal oriented, and have basic knowledge of the Drywall Finishing and a willingness to learn as you earn, The International Union of Painters and Allied Trades (IUPAT) and our partner contractors would like to talk to you about a career in the construction industry! Join us on Thursday, February 8th from 4:00 to 7:00 PM at Painters Local Union 1275, 8700 Memorial Drive in Plain City, Ohio, for a special career fair and hiring event. Refreshments – along with on-the-spot job offers, will be provided. Drywall finishers (or tapers) prepare unfinished interior drywall panels for painting and by taping and finishing joints and imperfections. According to the Bureau of Labor Statistics, the job outlook for this field is very positive, due to the need to replace older baby boomers who will be retiring in the next several years. No formal education is necessary, on-the-job training and apprenticeship programs will be offered. This is a great opportunity to position yourself for a long-term career with IUPAT, that not only provides great pay but health insurance, a retirement plan, and career growth opportunities. The event is sponsored by IUPAT District Council 6 and partner contractors Acoustic Ceiling & Partition of Ohio (ACP), OCP Contractors, OKI Interiors Corp, and Valley Interior Systems. Questions should be directed to Jamie Peppers, Director of Organizing, at jamiep@iupat-dc6.org . To accelerate your ability to start employment immediately, interested candidates may want to bring a valid ID, and a resume or a listing of their work experience, to the hiring event. Pre-registration is not required. For more information on the benefits of joining IUPAT, visit https://iupat-dc6.org/member-benefits/, or click HERE to download event flyer. Implement the controls required of Table 1 activities. When doing work outside the scope of Table 1 activities, we can use the scheduled monitoring option (personal breathing zone sample will be taken) or the Performance monitoring option can be implemented (sample data from an outside source can be used as long as it was from the same work using the same materials.) When using data from outside source, have a copy on hand for occasions when we might be asked why we are not doing our own tests. When sweeping floors or dusting something off, we need to use sweeping compound and/or a vacuum with HEPA filtration. New Drywall applications are exempt from this new standard because current gypsum panels and joint compounds now contain little or no RCS. Although we still need to keep an eye on the SDS on all products we use to ensure silica exposure will not reach the action level. Keep in mind if employees are disturbing old drywall, old plaster, or any other material other than new drywall panels or new joint compound, there will be an elevated risk. So pre-job existing material sampling and/or personal breathing zone sample may need to be taken. Even though Drywall work is exempt, that doesn’t mean that there won’t be health threat from ingredients other than RCS. We should set strict companies policies that set rules for required PPE and Engineering Controls for every task employees might be doing. 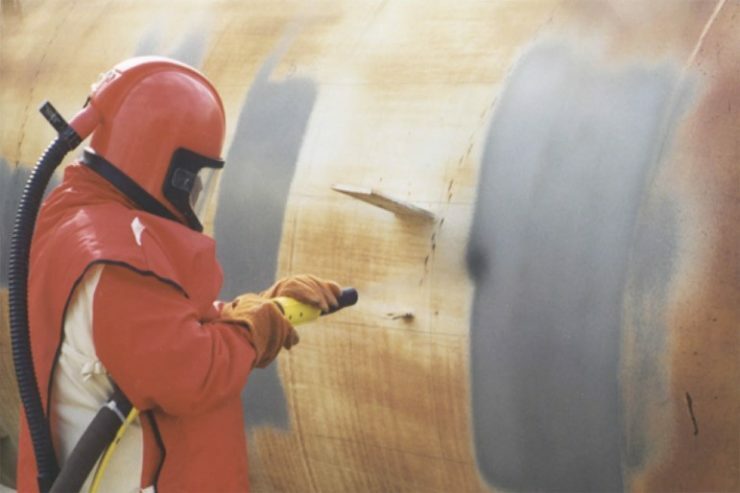 Some examples may be: Closing off and limiting access to areas where drywall is being sanded, require 100% use of respiratory protection when any worker is in an area being sanded, and running air handlers/scrubbers in an area being sanded. When it comes to glazing and glass work, remember, silica is a key ingredient in the manufacturing of glass. The most severe exposures to crystalline silica result from abrasive blasting. This process is used to etch or frost glass. 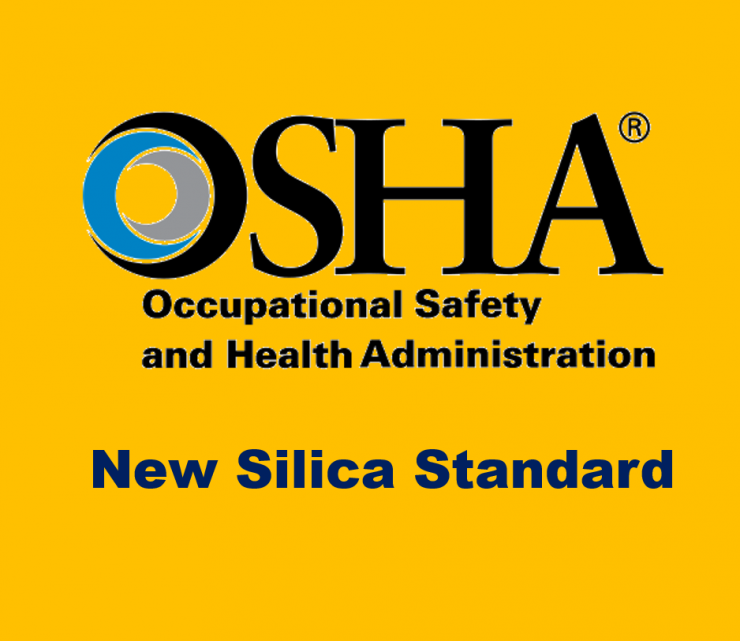 Additionally, crystalline silica exposure can occur in the maintenance, repair, and replacement of the linings of refractory brick furnaces, such as those used to manufacture glass. Most aspects of the glass trades will fall under Table 1 activities. Be mindful when cutting, chipping, grinding, or drilling into concrete, brick, or mortar. It is the intention of the D.C. 6 and the FTIOR to stay as up to date as possible on this standard and its possible implications on our work. If we stay in constant communication and share our data as it comes out, we should have no problems staying in compliance. The Coatings and Corrosion Expo is coming to Strongsville Ohio on Thursday, November 16th, 2017. The Expo kicks off at 9:00 AM with demos. The Expo also features SSPCC-CAS Presentation, Several CEU Continuing Education Courses, and lunch. Door prizes and raffles round out this free event. As coatings fail, structures degrade resulting in corrosion. From maintaining the integrity of our infrastructure to having safe water in our home, the effects of corrosion cost our economy billions of dollars every year. Facility and equipment can last 5 to times longer when an industrial coating is applied by a trained skilled workforce. 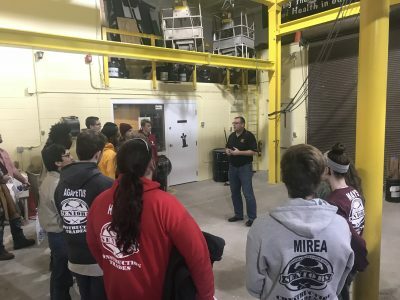 The event will also feature a National Apprenticeship Open House, giving apprentices an opportunity to experience the expo while networking with other apprentices and IUPAT members.